Some time ago, the author never share how to login to multiple Yahoo Messenger accounts at the same time. This time, I will share something else, which is still subject to the previous one, how to login to multiple Google at the same time. Actually this way is provided by Google since some time ago but for some people, especially those who are just learning computer science and internet but do not know this trick, then there is no harm if the author gives some idea of how to login to multiple Google accounts simultaneously. 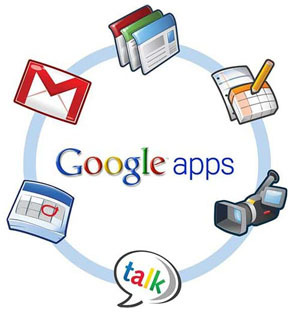 To test this trick, first you must be have two Google account ready to use. If you do not have, you can borrow a friend, relative or if you want to spend more time you can create a new account for use in conjunction with your existing account. Logout all your Google accounts. Continue with one login account. Once inside, try to open Gmail in a new window to make sure you are logged in to your Google Account. Once you can confirm it, go back to the first window and click on your name at the top right of the web browser window. Continue to click the Switch Account. Continue to click on Sign in to another account and continue by entering your second account. Once you get into the second account, try clicking the email at the top right, there you will find two accounts to choose from. Please select one if you want to move to another account. With this trick, you can switch quickly between the two accounts. And of course, you do not need to bother to enter your username and password if you want to use another account.